1. Adhere front center of 1st library pocket to the back of the 2nd library pocket. 2. 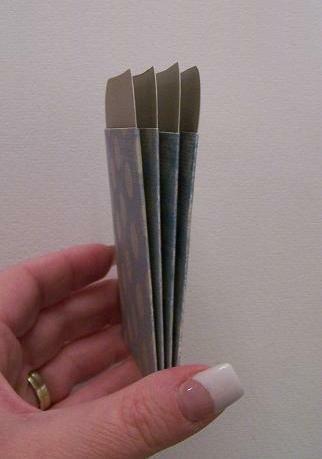 Repeat adhering library pockets as described in Step 1 until all four are attached. 3. Cut a strip from the double sided paper, 12" x 3 1/2" for album cover. 4. 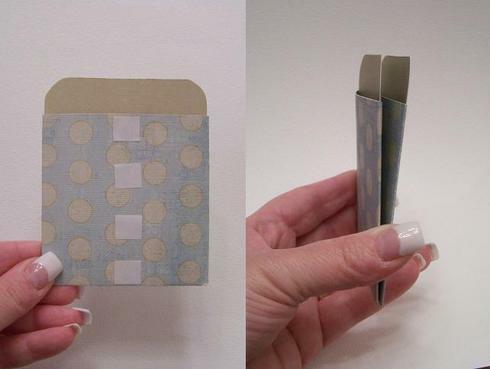 Adhere library pocket to the inside of your album cover paper...leaving 4" of paper above the top of the library pockets. 5. 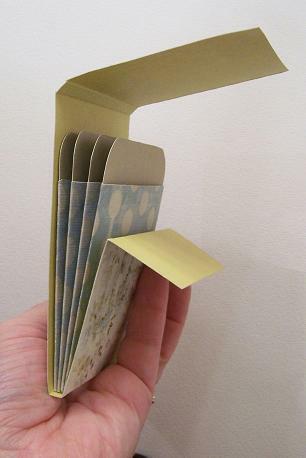 Fold album cover, allowing room at the top of the library pockets to insert library cards. Fold measurements from the top of the ablum cover: 3", 3 1/4", 8", 8 1/4", and 11". 6. Adhere front flap of cover down. 7. Cut 4 library cards from cardstock, 4 1/2" x 3". Insert cards in library pockets. 8. 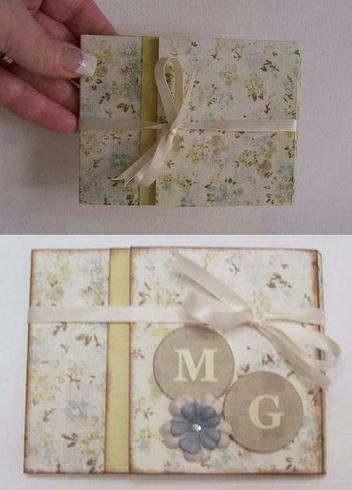 Fold library pocket mini album closed and fasten by tying a ribbon around the album. Finish album by embellishing cover. 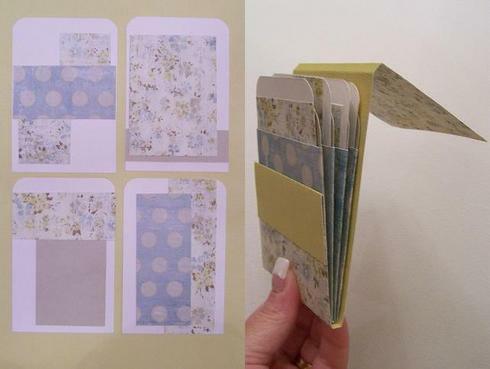 Congratulations, you've just completed a Library Pocket Mini Album! I love it-can't wait to make one! However, I'm rather new to all of this so forgive my ignorance...what do you do with the library cards? Are you suppose to write stuff on them or put pictures on them ?? Thanks for posting the instructions here.....I was all prepared for the class and then at the last minute got called away and missed it! Thank you thank you thank you! I made one for my son's teacher for teacher appreciation, and forgot to take pics before sending it to school. Your directions were so clear, and the visuals so helpful, that it took no time to whip it up. I do plan on making more! Thanks so much!! Thanks so much for the great instructions. I can't wait to try one. Thanks for writing this up, I couldn't see the pics in class and it's nice to see the process! I plan to make more of these, and am so glad I took your class, thank you for having such a great idea and sharing it. Thanks! I was looking forward to taking this class and Sunday morning we had a lightning storm which knocked out our telephones. I couldn't see pics during chat, and I was just not comprehending! CT May Reveal - "The Women in Our Lives"